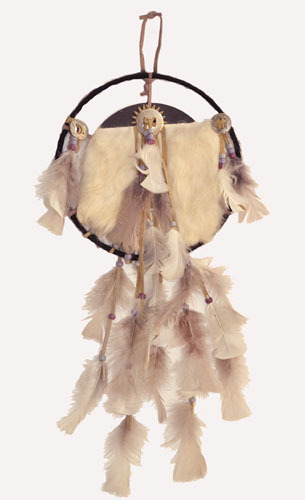 Artefact Description The diameter of the dream-catcher is 24.5cm, the depth is 0.9cm, and it is 60cm tall. 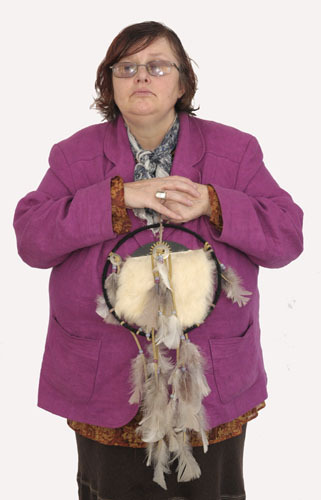 It includes wing feathers (purple and white), purple and pink feathers, grey beads and fur on leather / suede cords. There are fourteen cords in total.